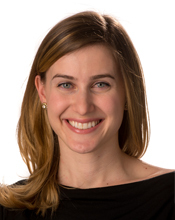 Lindsay Firestone joined Bloomberg Associates’ Media & Tech team in July 2014. She works with client cities to grow and develop their media and technology sectors through economic development initiatives and public communication. Key areas of focus include promoting the film industry as an economic driver and developing digital communication strategies to increase efficiencies and awareness. Prior to joining Bloomberg Associates, Lindsay worked at the cross-section of film and new media at PMK*BNC, a marketing and communications firm. Representing independent and studio films, writers, directors, producers and arts non-profits, she advised clients on strategic communication efforts to maximize exposure, interest and profitability. During this time, she championed the successful launch of the Made in NY Media Center by IFP, an arts and technology incubator developed as a public-private partnership between the City of New York and the Independent Filmmaker Project (IFP). Her marketing expertise is driven by a strong understanding of event production, programming and content development. Lindsay volunteers with the Ghetto Film School – a non-profit supporting the next generation of American storytellers, and is a 2014-2015 Shapiro Family Fellow at the UJA-Federation of New York. Originally from Tampa, FL, she is a graduate of New York University.